Guests at the launch of the Statistics Education Research Group (SERG). Building strength and capacity in statistics education has been an ongoing priority for the Discipline of Statistics in UKZN’s School of Mathematics, Statistics and Computer Sciences (SMSCS) and events planned by the Discipline for the remainder of 2018 will continue along this line. Earlier this year, Professor Delia North organised an inaugural one-day Statistics Education Research Group Workshop in her capacity as the Focus Area Co-ordinator for Mathematics and Statistics Education. North was appointed to the role by the Department of Science and Technology (DST), National Research Foundation (NRF) and the Centre of Excellence in Mathematics and Statistical Sciences (CoE-MASS) based at the University of the Witwatersrand. The event featured the formal launch of the Statistics Education Research Group (SERG) attended by about 40 statisticians from various universities around the country as well as senior industry statisticians. ‘This focus group aims to bring together those interested in statistics education research at all levels, coupled with those interested in research in Mathematics training at base level, so as to optimise the delivery of statistics capacity building incentives at all levels,’ said North. 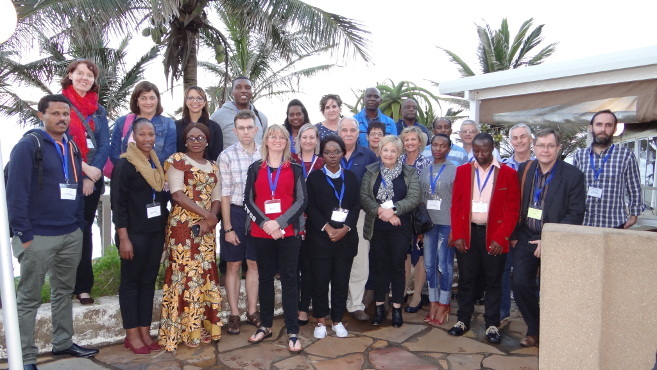 The workshop included presentations focused on areas such as Mathematics as a strong foundation for the sciences, relevant statistics education, new technology and resources to optimise the teaching of statistics and Mathematics, monitoring the education system and more general statistics education topics. Presenters were from UKZN, North-West University (NWU), University of Cape Town, University of Zululand and the SAS Institute. Professor Riaan de Jongh, Director of the Centre for Business Mathematics and Informatics® (BMI) at NWU, was the guest speaker. Following on from this workshop, North will welcome world-renowned expert in statistics education, Professor Jim Ridgway, to South Africa in November for the 60th annual conference of the South African Statistical Association (SASA) at UNISA, where he will deliver a presentation and host a workshop. Ridgway- an Emeritus Professor at the School of Education at Durham University in England- will also visit UKZN to present a seminar and visit the institution. Ridgway has focused his career on research that has a positive impact on people’s lives. He will present a lecture on the topic of teaching statistics for social change. The lecture will offer a conceptual model of the knowledge needed to achieve this problem-solving approach for social issues and will touch on resources created to teach statistics courses that empower students to engage with social issues.